Located in Ocho Rios, this attraction is by far the most famous in Jamaica. Your 600 foot climb starts at the base of the picturesque falls and is led by a competent guide. The not-so-daring can walk alongside the falls while observing from many entry points and taking those memorable photographs. Your tour is followed by a local Jamaican meal. Pickup available from Negril and Montego Bay hotels. Suggested pick up time from Negril is 9AM. Suggested pick up time from Montego Bay is 10AM. Guests should wear their bathing suits, bring a towel and water shoes. Pregnant women and those with injuries not permitted. 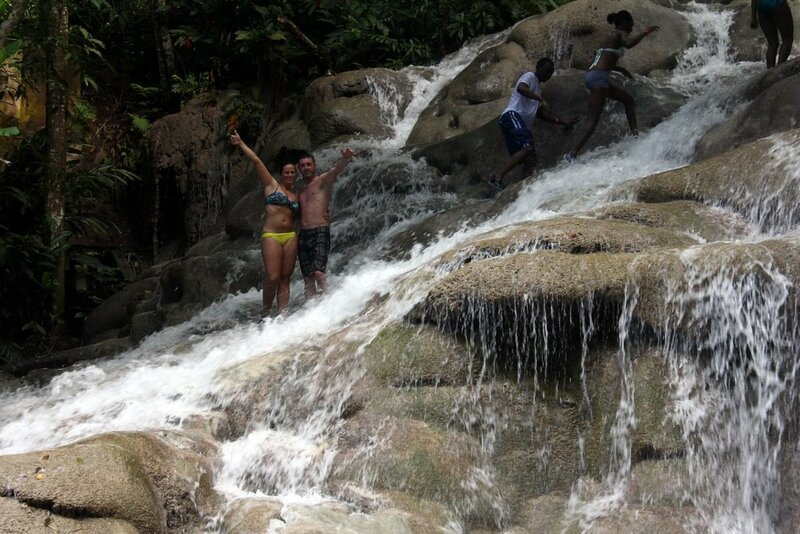 Dunns River is a 3 hour ride from Negril. Dunns River is a 1.5 hour ride from Montego Bay.